« Teen Holiday Cookie Decorating with Mae’s Cafe! 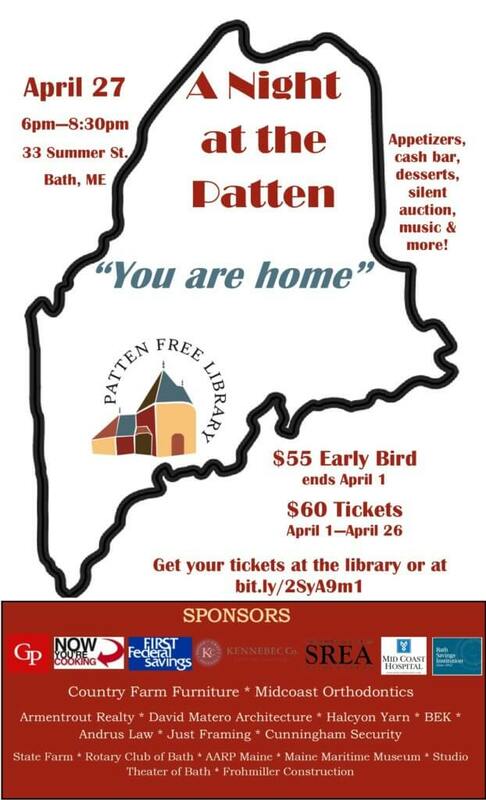 Completing the events that celebrate the 40th year of the Sagadahoc History & Genealogy, Matthew Edney will be speaking at 10:30 AM on Saturday, December 8th, 2018, in the Community Room of Patten Free Library. Edney is the faculty scholar for the Osher Map Library and Smith Center for Cartographic Education at the University of Southern Maine. 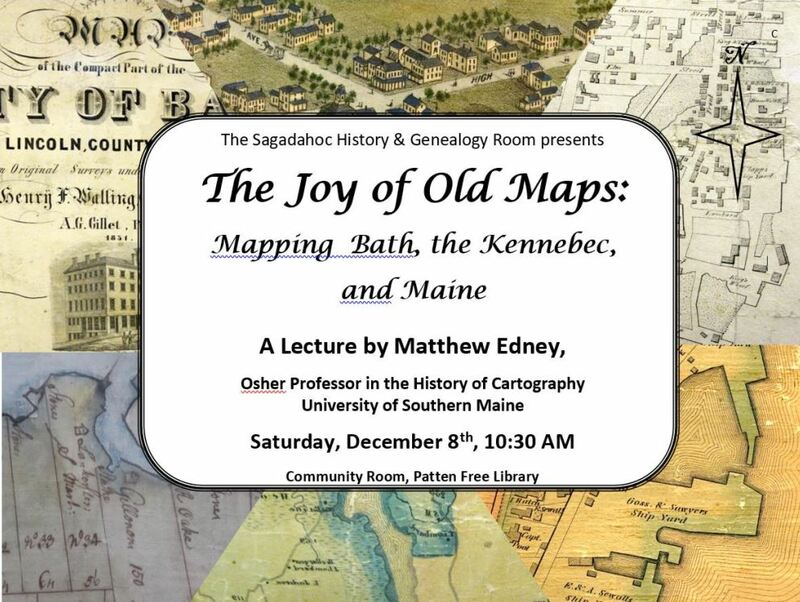 His talk, entitled “The Joy of Old Maps: Mapping Bath, the Kennebec, and Maine,” will consider maps in general, and specifically, the map collection of the History Room. With the help of generous donors, this past year has seen the conservation of virtually all the maps in the History Room. Now reframed in archival materials, the maps have returned home to Patten Free Library in time for Edney’s talk. Edney, as a professor of geography and the history of cartography, is particularly interested in map history, not only the specifics of any one map, its provenance, and the cultural context of the map maker and his audience, but how various societies think of maps and execute them. 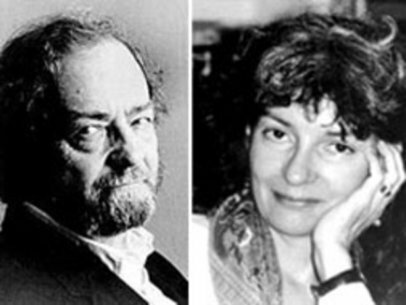 Maps come in a wide variety of materials, sizes, and shape, but illustrate an even wider range of ideas from the location of specific structures, the economic hierarchies of a community, to philosophical conceptions of the universe. In the last lecture connected to the 40th year anniversary, the History Room is very pleased to present this engaging speaker on a topic important to the archives’ collection.